10/5/2017 | Our friend Big John helped us tear down the old building in style. Check back here for other construction updates and news on the South Building. 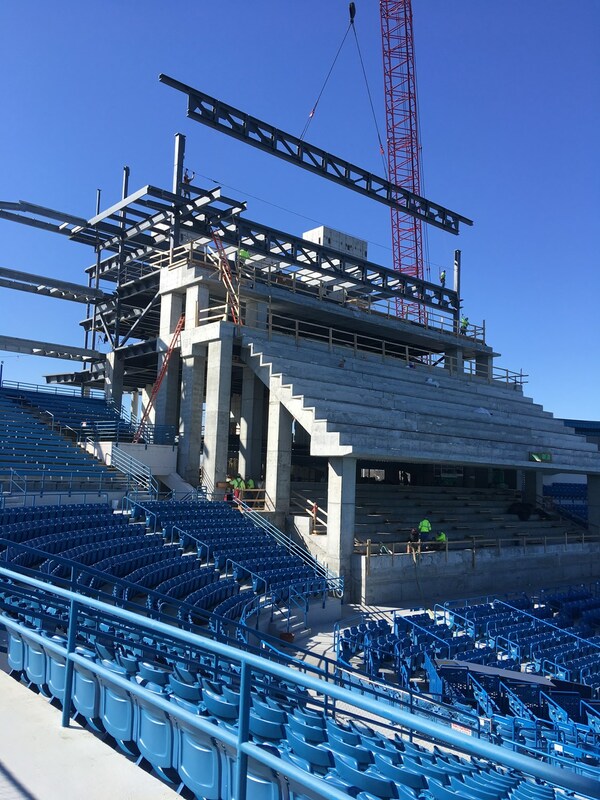 Interested in seating options in the new building for 2018? Click Here. 10/13/17 | We're starting from the ground up here in Mason. Watch a few weeks of work in less than a minute! 11/2/17 | Check out the latest progress on the first floors of the new South Building. 11/30/17 | Our crew has been busy! Take a look at all the progress made during the last few week of November! 3/1/2018 | It's been a cold winter here at the Lindner Family Tennis Center, but our crew is unstoppable. 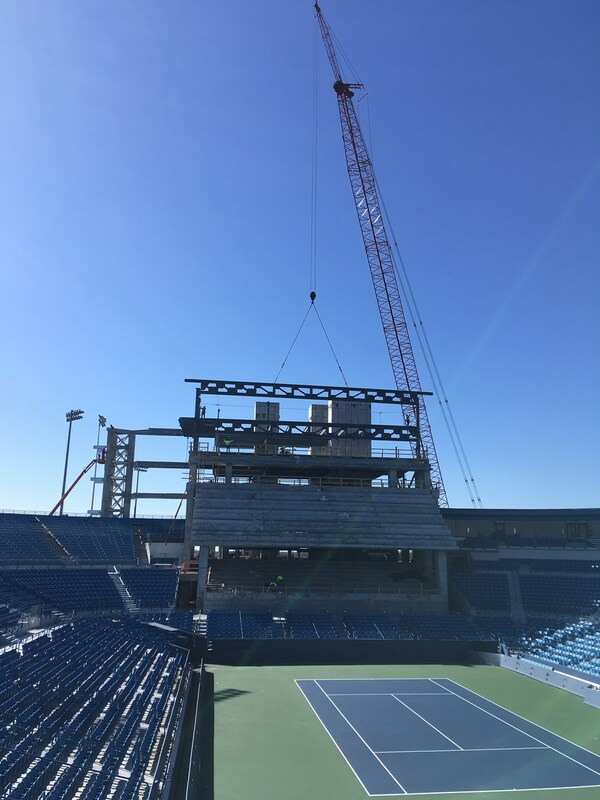 3/20/2018 | Watch our crew install the final roof and install the glass for the first ever indoor box seats in tennis.